Is the Cairn Terrier right for you? Find your perfect match now! This confident canine comedian is full of personality and pep. Cairn Terriers will always be excited to see you. But it's not just jokes with these dogs. They were bred to be pest control and are strong hunters and diggers. 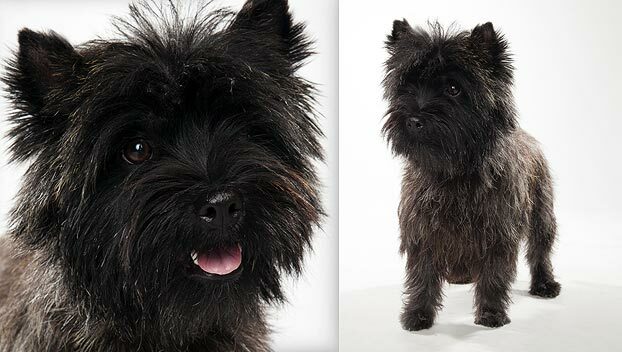 Originally from Scotland's Isle of Skye , this small-sized and medium-energy dog can grow to between 13-14 pounds and lives an average of 12-14 years. The breed is recognized by the American Kennel Club and classified as a member of the Terrier group. WHAT IS A CAIRN TERRIER'S PERSONALITY LIKE? Cairn Terriers are inquisitive and gutsy. These are playful dogs who will fit well with an affectionate and active family. They're very playful and great with children. Most are friendly toward other dogs, though some are a bit scrappy. Cairn instincts are to chase small animals, but with socialization, they can possibly get along with family cats. They'll probably never learn leave your pet rat or ferret alone, however. WHAT IS CAIRN TERRIER BEHAVIOR LIKE? 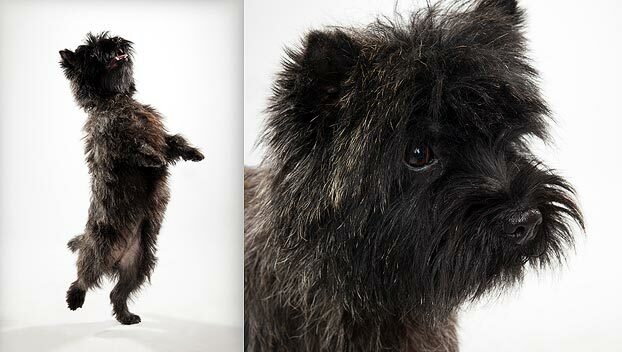 The Cairn Terrier is spunky, smart, brave, and tenacious. These dogs can be mischievous, but they're usually not bratty. This breed is prone to digging, though, so keep them away from your prize rose bushes! They are alert and not too inclined to be protective. Cairns can be prone to barking; you'll want to discourage this early and often. HOW EASY IS IT TO TRAIN A CAIRN TERRIER? Cairn Terriers can be stubborn. Start early, and be patient and consistent with your pup. This breed responds best to engaging and creative training methods. These dogs excel at agility, trials, and tracking. But no matter how much you work with them, their strong prey drive means Cairns are not good candidates for off-leash play. Be sure your yard is securely fenced and consider microchipping your furry friend. 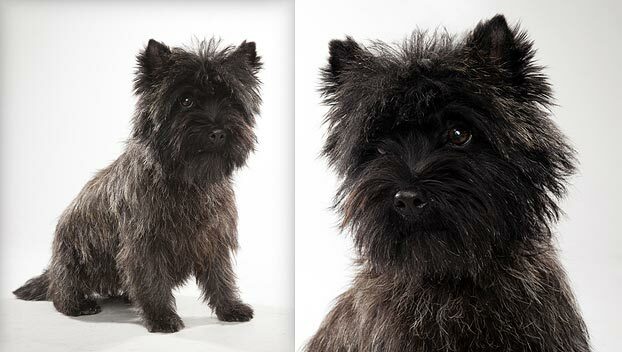 HOW MUCH DO CAIRN TERRIERS SHED AND WHAT ARE THEIR GROOMING NEEDS? Plan for daily brushing and seasonal grooming. Their short, coarse single coats are wiry and scruffy, both water resistant and weatherproof. Your Cairn Terrier will need hand-stripping every six months. WHAT HEALTH PROBLEMS DO CAIRN TERRIERS HAVE? Generally speaking, this is a healthy breed. 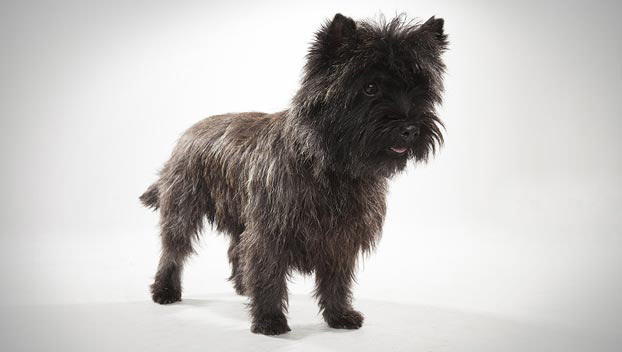 Some Cairn Terriers can develop orthopedic problems, eye ailments, and heart disease. ARE CAIRN TERRIERS GOOD FOR PEOPLE WITH ALLERGIES? The American Kennel Club doesn't list Cairn Terriers among its breeds recommended for allergy sufferers. You can reduce your furry friend's impact on your allergies with frequent baths and brushings to reduce loose hairs and aggravating proteins in your pet's dander. Use a damp cloth to wipe off your dog after you've been playing outside. 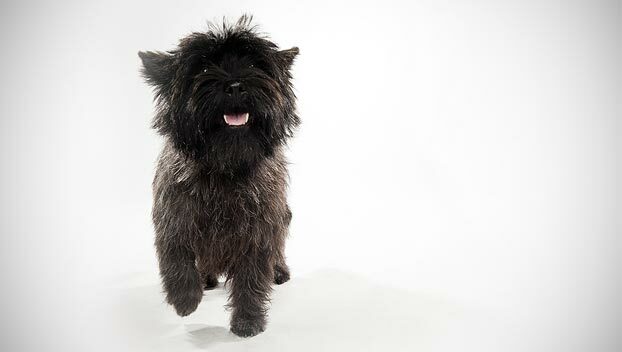 Smaller dogs have less surface area, and so produce comparatively less dander than larger breeds — definitely something to keep in mind with a dog as small as a Cairn Terrier! Remember that no breed is 100% hypoallergenic, and any breed can aggravate allergies. WHAT'S A CAIRN TERRIER'S BEST DAY? Following the yellow-brick road to a good-old adventure. SHOULD I ADOPT A CAIRN TERRIER? Cairn Terriers make great apartment dogs; they can live almost anywhere with securely enclosed play space. They are equally comfortable in warm and cold weather. These dogs are fun-loving and funny, and their curiosity will keep you on your toes. Cairns aren't good candidates for off-leash play, but their exercise needs are moderate. They don't require frequent, expensive trips to the groomers, and generally, they're pretty healthy. Cairn Terriers could be a good match for many different kinds of companions. Have you decided that a Cairn Terrier is the perfect dog for you? Why not be your new best friend's hero and adopt a rescue! Be sure to check out our article on what to expect when you're adopting a dog or cat.